Since the founding of Polk in 1972, it’s been our mission to craft high quality, great sounding speakers that are accessible to everyone. For the people of Polk, designing and building authentic audio solutions is our true passion. The company is an out and out audiophile brand that makes and sells a variety of speakers and audio equipment. Their website is littered with a bunch of products across the lines of home theatre systems, sound bars, gaming headsets, custom Hi-Fi installations, car music systems, and video conferencing speakers amongst other things. The company is based out of Baltimore and holds around 65 patents to its engineers’ and designers’ name in the field of audio equipment. Thus the organisation is well capable of maintaining and furthering its conquests in the field of audiophile equipment. 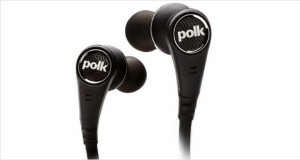 Polk was formed by three music-loving friends and alumnus of Johns Hopkins University – Matt Polk, George Klopfer and Sandy Gross. They graduated in the early seventies with degrees in physics and mechanical engineering and were tied together with the bond of music-love. America in the seventies was filled with Japanese brands that dominated the home audio industry because of their decent output and surprisingly cheap price. American brands themselves were expensive and clunky. Additionally, the three friends wanted the concert sound right where they were but knew that it was impractical with the meagre income they made as normal professionals. Even so, they did not want refrigerator sized speakers to achieve that concert effect. So they decided to work together, pooling their knowledge to come up with speakers that would give amazing sound quality without compromising on size or expense. They roomed together in a ramshackle Victorian rooming house just outside Baltimore city where they built prototype after prototype to assemble loudspeakers consistent with their vision. With the help of their friends, many of whom still work in Polk, they assembled a loudspeaker that defied expectations. This loudspeaker would later be a pioneer in the Hi-Fi industry as the Polk Monitor Series, that would be loved and adored by generations of audiophiles to come. Polk has been known for its loudspeakers, but they have made forays into the personal audio sphere with the Polk Audio Ultrafocus 6000 in ear monitors. At a fair price point that is not too expensive, these are one of the few active noise cancelling in ear monitors. The sound is powerful, the fit is comfortable and the details are exquisite with these earphones. While they may not be the greatest noise cancelling headphones in the world or the best in ear monitors, but they do tread the fine line between these definitions very well.